Posted on February 23, 2017 by Smorgasbord - Variety is the Spice of Life. My parents met in 1939 and married in 1940 and saw each other infreguently for the next six years.. Courage and a very strong love is needed in times such as these.. I am delighted that Geoff Le Pard has chosen to share his own parent’s romance with us as part of the Blog Sitting series. 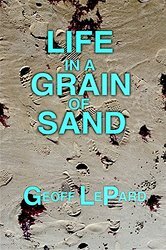 Geoff Le Pard (not Geoffrey, except to his mother) was born in 1956 and is a lawyer who saw the light. He started writing (creatively) in 2006 following a summer school course. Being a course junkie he had spells at Birkbeck College, twice at Arvon and most recently at Sheffield Hallam where he achieved an MA in Creative Writing. And what did he learn? That they are great fun, you meet wonderful people but the best lessons come from the unexpected places. He has a line of books waiting to be published but it has taken until now to find the courage to go live. He blogs at http://geofflepard.com/ on anything and everything. His aim is for each novel to be in a different style and genre. Most people have been nice about his writing (though when his brother’s dog peed on the manuscript he was editing, he did wonder) but he knows the skill is in seeking and accepting criticism. His career in the law has helped prepare him. My parents were just teenagers (dad turned 13 in November 1939; mum was 13) when the WW2 started, not that they knew what that meant back then. Dad was at a public school, having won a full scholarship there whereas mum had already left school to nurse her dying father and care for her two much younger brothers while her mother went out to work. On the face of it, my father’s circumstances were the better but that would deceive. My paternal grandfather, Gordon, was a tailor, whose carefully built up business collapsed into bankruptcy in the early 1930s. To make ends meet, he moved his family to north Surrey while he went to work for a tailoring business in London. They lived in a council house and, in Dad’s words, downplaying the truth no doubt, ‘about managed’. The stress on his father was such that by the end of the war he’d moved to Croydon Technical College to teach tailoring, mostly to men returning from the forces, often carrying horrendous injuries that rendered them unfit for whatever they had previously done. By contrast my maternal grandfather, Percy, came from a more affluent family; he drove racing cars at Brooklands and had learnt to fly before WW1 started. However, he fell out with his family and set up his own business, in electronics and motorcycle maintenance, in particular getting involved with installing the new-fangled cat’s whisker radios. Both my grandfathers were seriously injured in WW1 but Percy’s injuries were the worst. He was entitled to an Army pension but refused the constant and, to him, humiliating medicals that, he felt, suggested he was making up the extent of his physical problems. By the start of WW2, while they still owned some property in Brixton and Streatham and enjoyed such rents as they paid, to survive more money was needed. Consequently, my grandmother, Grace, joined the RAF branch of the NAAFI, based in central London while my mother and her dependents stayed in their house in Herne Bay. Both my parents wanted to ‘do their bit’ as was the expectation. Dad had aspirations to fly; as well as being part of the ATC (Army Training Corps) he joined the RAF Volunteer Reserve after finishing school in the hope of joining the flyers. Mum volunteered for the ATS (Auxiliary Transport Service) and would eventually drive all kinds of military vehicles wherever she was stationed: including at one point tanks. Before they could start, however, they had a wait and, by 1944, with mum’s father dead and her two brothers away at a boarding school arranged by a friend of my grandfather’s, they both found themselves at the London County Council, doing administrative work. The LCC was based in County Hall which, for those who don’t know London sits diagonally opposite the Houses of Parliament on the south bank of the Thames. They were young and carefree but mum, being a year older than dad and having joined the LCC months earlier was superior to him. She was shy and I can well understand that my boisterous, rather jokey father, with a public-school education intimidated her somewhat. She may even have thought him rather crass save only he wrote poetry and displayed, in the oddly coy way he had, a sensitive side. These jobs were place-markers; people wanted to move on. They weren’t looking to form meaningful friendships or relationships. And the differences in temperament and background as well as in the hierarchy of the office would have kept them distant but for one intervention by Adolf Hitler. By the middle of 1944, Hitler was losing the war. It was a case of when not if, in truth, now that a second front had opened following the June Normandy landings. He launched a ferocious assault on London using his latest weapons of terror: unmanned rockets. The V1 or ‘doodlebug’ had a distinctive engine noise. Londoners heard them coming, watched the skies and learnt that if the note cut out the bomb would land seconds later and it was time to get your heads down. One hot summer afternoon a wave of V1s churned their way across Surrey heading for London. The weary clerks at the LCC, having opened such windows as they could to encourage a breath of air on an oppressive day, heard the flotilla and made for the windows. I suppose that seems ghoulish, knowing that death, possibly, and certainly destruction awaited those unfortunate to be caught up in the blast. The young men and women chatted excitedly. One woman climbed on a table and others were pushed to the windows as more women were hoisted up for a better view. The rattling sound of one V1 grew and grew. Necks were craned to try and see it against a peerless blue sky. Then silence. There is, for some, an instant reaction; for others, a hesitation as if the mind cannot compute the changed circumstances. County Hall for all its grandeur has one feature that sat uneasily with such a bombing campaign: it is full of windows; huge ceiling height things. Mum stood by one, frozen as she stared skywards. Then in a flurry of hands and legs, Dad grabbed her waist and pulled her, less than decorously to the floor and rolled with her under the table. Seconds later the rocket impacted close the river. The force of the impact blew out several panes of glass and the shards showered down on the tables and floor. Anyone standing on that table would have been grievously injured. Was it then he asked her out? Or later? Knowing the man, to do such a thing and risk rejection would have been huge. Possibly his action lent his spirit wings and he took a punt right then. I like to think so, and anyway the offer was accepted. And perhaps, in a forerunner to the happy, sometimes hysterical marriage that eventually followed, that first date turned into a disaster; they went to the flicks – the cinema – in Leicester Square. The platforms were crowed as they headed on to wherever was next and dad managed to push mum onto the train only to find himself left on the platform. The girl of his dreams and he had lost her already. But not for long and never again, not for 70 years. PS once they were separated by the Forces they wrote to each other regularly. Neither my brother nor I knew anything of this until after mum died (dad had died 5 years before) but we found a shoebox full of all his letters, from August 1944 until he was demobbed on the summer of 1948 (he spent two years in Palestine as part of the British forces standing between the Jews and the Palestinians, prior to Partition but that is another story). I have posted them on my blog (a long while ago) but this is a Link to the earliest in that box which gives you an idea of how two youngsters, in the late summer of 1944 and who were dancing around the early stages of a relationship, behaved. Mum was 18, dad 17. Jerzy Komaza is adept at turning a blind eye. He has allowed his father’s beatings of his sister, Maria, to continue for years. Yet one hot summer day he finally snaps, and it is Maria who sends him away from their home in Białystok in rural Poland, fearing the consequences if he stays. Desperate and unsure, Jerzy heads for London where his old friend Jan has promised him work. At first he is completely disorientated. Worse, there’s no sign of Jan. Feeling lost and adrift in the strange city, Jerzy overhears a young woman’s cries. Memories of his sister stir him into action and he intervenes. The woman is Suzie Thomas, a drug addict dependent on local thug Paul Rogers for her supplies and for whom she turns tricks. Rogers also runs gangs of workmen around the city, and Jan works for him. Gradually Jerzy is dragged into Suzie’s world, a violent dog-eat-dog existence of the underclass living next to but separate from London’s affluent citizens. Jan has his own problems with Rogers, and when his cousin Ola Nowak is slashed with a knife while trying to sort out Jan’s debt, he is bent on revenge. Jerzy is torn between stopping his friend and, because of his own growing hatred of Rogers’ casual violence towards Suzie, helping him. Suzie’s family are hunting for her. Her grandparents hear she has moved to London and seek her out. In doing so they too find themselves pulled into Rogers’ orbit. As the heat builds and the rain pours down, various forces begin to drag these desperate individuals together into a violent confrontation. And into this mix comes Lech Komoza, Jerzy’s half-brother intent on his own violent retribution. This story contains elements of revenge, love, the clash of classes and cultures, the isolation of large cities and the single-minded determination to survive. 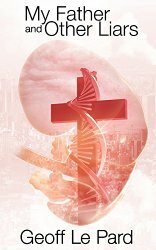 Set against a backdrop of one of the most affluent cities in the Western world, it is a modern parable about the lure of redemption and how hope can be corrupted by despair. 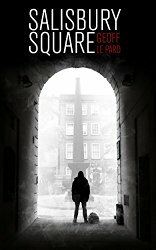 A review for Salisbury Square. This is a harrowing and powerful story of a Polish immigrant’s life in London. Wronged at home he follows the trail of his friend to London, where he gets involved with a drug addict and some dodgy characters. Le Pard portrays the ‘dog eats dog’ society of that layer of society very well, also the mind set of Jerzy as he makes choices that often don’t pay off. This is a gripping and very haunting tale, told in a beautifully simple prose with good pace and clever plotting. A very accomplished novel with much food for thought. 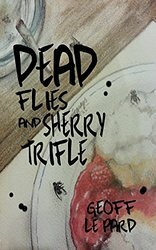 This entry was posted in Book Promotion and tagged Dead Flies and Sherry Trifle, Geoff Le Pard, My Father and other Liars, Salisbury Square by Smorgasbord - Variety is the Spice of Life.. Bookmark the permalink. Delightful…thanks for sharing your parents’ story with us, Geoff. The photos are wonderful, the story, even better. It’s a lovely story isn’t it? And have a good holiday! Lovely story, Geoff. I enjoyed reading the letters, too, which I hadn’t seen before. thanks Mary; he was a prolific writer and I posted some transcripts and some originals along the tabs on my blog; feel free to dip in to catch some authentic 1945 dialogue! Will do. You must have posted all this before we ‘met’. I did a whole series shortly after I started in 2014; it was one of the reasons I took up blogging, to give them a platform. Thank you Paul; it is a sweet story isn’t it? It is Geoff. It is actually inspiring. People do find their soulmates. And good does happen in the world, even in the worst of times! A wonderful account and such lovely photos, Geoff. You’ve set me thinking!! Going over to the books link. Wonderful story, Geoff! Thanks for the share! I always enjoy hearing the stories of you mum and dad, Geoff. This one from the very beginning of their happy relationship was lovely to read. I can’t imagine the terror the people of London must have had on hearing those silent bombs. It was an extraordinary time, wasn’t it? No idea how they kept sane.